Each work explores a particular angle related to boundaries – the uncanny, the shadow, limiality, non-spaces, being segregated from a home country, the impossibility of fully comprehending the thoughts of another being, political change, geographical shifts and many others. By bringing such a variety of approaches and mediums into dialogue within and across the two hosting locations similarities and connections of these encounters become prevalent. Alpha C.K. 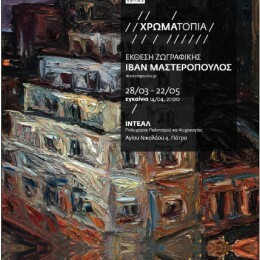 Art Gallery presents the first solo exhibition in Cyprus of the young Greek artist Ivan Masteropoulos. ( Giannis Cheimonakis, Giannis Delagrammatikas, Foteini Palpana, Yiannis Sinioroglou, Ino Varvariti) in collaboration with the art historian Leda kazantzaki. The exhibition includes different approaches to the concepts of springs and sources and it attempts to reveal the connotations attached to them and their contemporary multilevel meaning. the modern art exhibition TIO ILAR 6. It will be held from 25th April till 19th May, 2013. Pietro Ruffo (Italy), Taynal Unal (Turkey). Apollonas Glykas, Giorgios Kontis, Ivan Masteropoulos, Gavrihl Pagonis, Panagiotis Papadopoulos, Giannis . Athina Agorgianiti, Sylvia Antoulinaki, Anna Karatza, AntigonI Michalakopoulou, Eleni Panouli, Xristina Papadimitriou, Fotini Papalana, Vasiliki SIfostratoudaki, Ioanna Xatzipanigiri, Despoina Flessa. C.K. ART GALLERY is deeply honored to announcing you our new team exhibition. 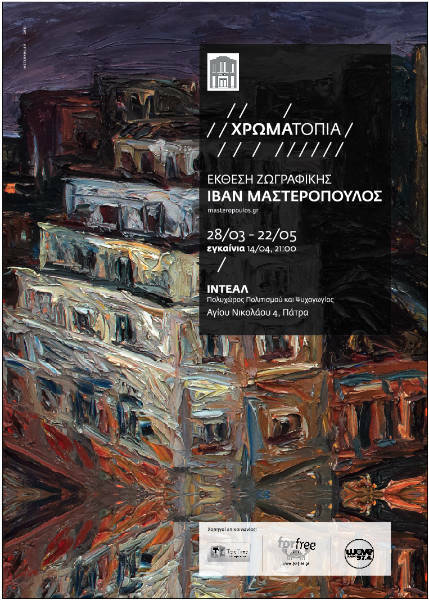 16 very talented Greek artist are presenting for the first time in Cyprus their work. Their works create a unique dialogue about at the history of Art. As they redefine and reposition each one them-with their own characteristic and astonishing style and technique-settled questions about the thematiques of art such as the problematic about the references to other movements and artists, man or nature in art, the continuous inner monologue of the artist’s work. In any case, their work of art, constitute a representative sample of the rich and contemporary Greek artistic creation. The Contemporary Greek Art Institute presents the exhibition PLATFORM 20, with Niki Papaspyrou, art theorist, Artemis Stamatelou, museologist and Nafsika Savelou, art historian as curators, with the cooperation of the poet Thomas Tsalapatis . The exhibition PLATFORM 20 focuses on the work of 20 young visual artists and poets born after 1972, in order to explore the dynamic and uncharted field of contemporary creation in Greece. The central theme of the exhibition is the explorations of the artists themselves: In what ways they perceive and interpret the current harsh reality in our country? Which experiences trigger their artistic expression? Through which journeys, they search for collectivity? The pluralism of PLATFORM 20 in theme, style and expressive mediums promotes reflection upon the relationship between art and human life, whether private or public. The visual art and poetry events of the exhibition, with the participation of the public as well, will be filmed by director Spiros Tsiftsis, in order to serve as an additional means of artistic expression, as an exhibit-documentary. Visual artists: Sylvia Antoulinakis, Alexandros Caklamanos, Ivan Masteropoulos, Antigone Michalakopoulou, Gabriel Pagonis, Alice Pappas, Vassiliki Sifostratoudaki, Yannis Sinioroglou, Anastasia-Zoe Souliotou, Despina Flessa. Poets: Zissis Aenalis, Anna Griva, Nikolas Evantinos, Chrissi Carpathiotakis, Stergios Mitas, Michalis Papantonopoulos, Giorgos Prevedourakis, Theodore Rakopoulos, Yannis Stigas, Thomas Tsalapatis. The exhibition’s catalogue will be included in the May-June 2012 issue of the newspaper Art News.